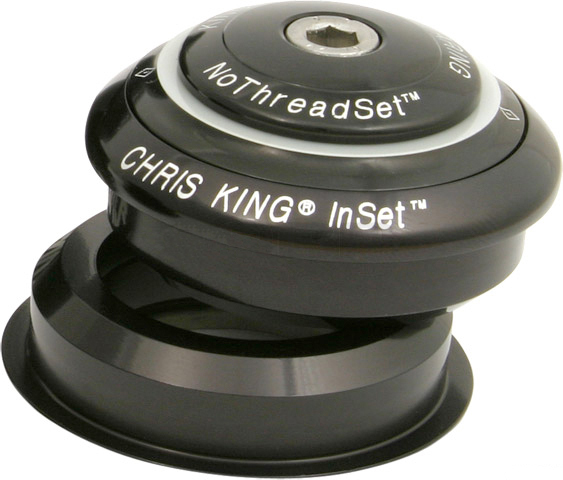 InSet is the classic, unbeatable Chris King sealed bearing headset built into six configurations for contemporary bicycle headtube dimensions. As a low-stack style headset, the press-in cups and bearings are housed within the headtube allowing for an overall lower ride height. InSet compatibility can also conform to forks with tapered steerer tubes. Aluminum cups house our legendary bearings; all made in-house in our Portland, Oregon facility. InSet is the unrivaled upgrade for all riding styles. 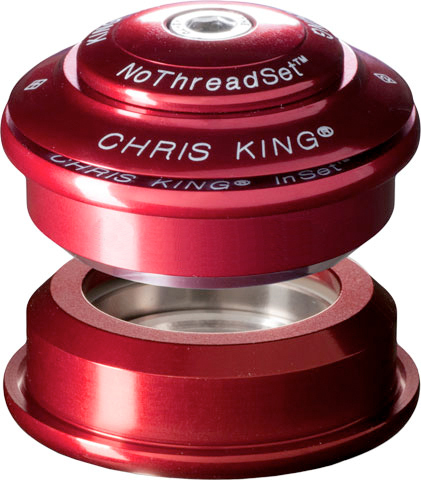 Compatible with 1-1/8″ non-tapered, internal head tubes only. Has 44mm upper internal cup and 44mm internal lower cup with 1-1/8″ baseplate.